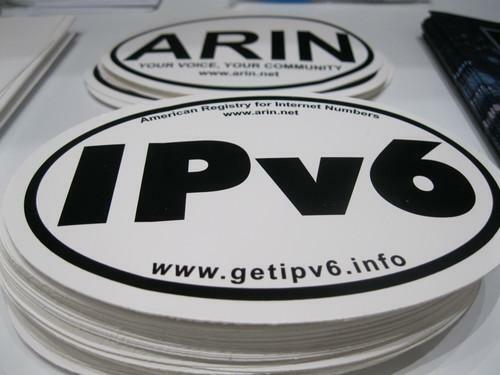 Could IPv6's day be near? The stockpile of unused IPv4 addresses in North America has fallen so low that there's now a waiting list. On Wednesday, for the first time, the American Registry for Internet Numbers (ARIN) had to tell an applicant for new Internet addresses to wait. ARIN simply didn't have any blocks of addresses big enough to satisfy that applicant's needs. Hewlett-Packard has filed paperwork with the U.S. Securities and Exchange Commission to register HP Enterprise as an independent company, an official step on the path to splitting itself in two. The filing shows that HP Enterprise made a profit of $1.6 billion last year on revenue of $55.1 billion, down from a profit of $2.1 billion on revenue of $57.4 billion in 2013. With an $890 million offer to buy international money transfer service Xoom, PayPal is looking to break into a new market worth an estimated $600 billion a year. The company is looking for new markets as it gets ready to split from parent eBay and its vast market of buyers and sellers. A worker standing inside the safety cage of a piece of heavy machinery died while setting it up at a Volkswagen plant in Germany on Wednesday, the Financial Times reports. News of the tragic incident involving an industrial robot gained widespread attention when a journalist by the name of Sarah O'Connor tweeted it and, as The Verge reminds us, her name has just one letter more than the heroine in the original Terminator movie. In an increasingly post-PC world, much of the innovation in processors seems to be in datacenters or "things." That isn't stopping Intel revamping its PC products, though: Its first Skylake chips, due next month, will be overclockable and destined for high-end gaming PCs, with other versions for desktops and laptops to follow. Around the world, the gloves are off as Uber picks fights with local taxi drivers. In Japan, they're putting the gloves on to compete with Tokyo's spotless taxis and their slickly dressed drivers, as Techworld reports. While other sharing economy startups refuse to share the cost of providing employee benefits for those who provide the service they sell, that's no longer the case at Shyp, which picks up objects on demand and ships them anywhere in the world. It told TechCrunch it will make the courriers performing its pick-ups employees, not contractors. Shyp's move may not be entirely altruistic: The same lawyer suing Uber to classify its drivers as employees has also filed suit against Shyp, the San Francisco Business Times revealed. Forget your password -- no, really! MasterCard is following hot on the heels of blogging platform Medium, which earlier this week invited users to forget their password. As CNN Money explains, you will soon be able to authenticate payments by taking a selfie. We almost saved this for "One last thing": Steve Jobs: the movie is coming on Oct. 9, but the trailer is out now. When did you last write a letter? With a pen? Forbes looks at a couple of projects bringing the art of the handwritten letter bang up to date.